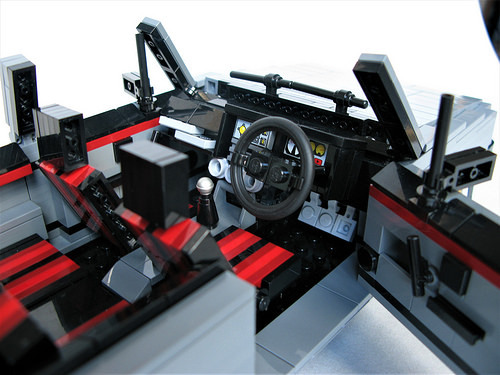 Joe’s version is not just about exterior good looks, open up the driver’s door and you will see a fully fitted out interior. The minifigure microphone is ideal as the classic ‘golf ball’ gear stick. 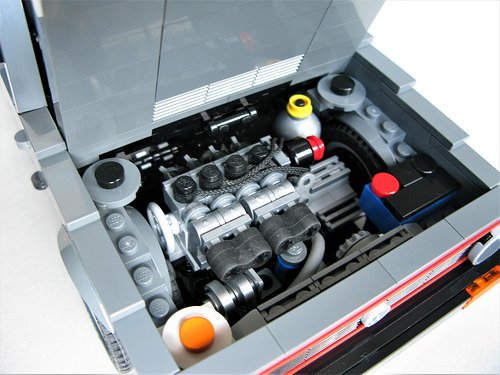 In addition, we can also take a peek under the hood of Joe’s version. 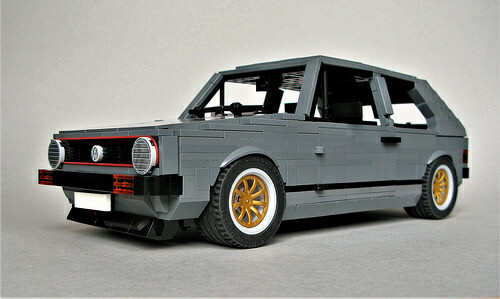 There are some fun parts to spot powering this particular Golf, I love the use of the clockwork winder key and some minifigure legs within the engine. I’m not entirely sure why a fried egg is hiding under the hood…can anyone eggsplain? The fried egg is standing in for the GTI’s washer fluid bottle. 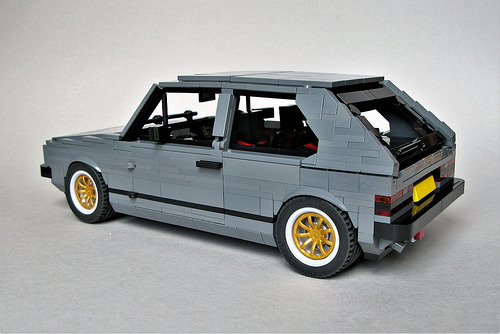 Best Mk1 GTi built from Lego yet! Ah ha! Thanks for letting me know as I was genuinely unsure what it represented. Hi, there are no instructions for this build as far as I am aware. If you click on the image or the emboldened builder name, you can always ask him on Flickr.